Bio - Bobby August Jr.
Bobby performed in a guest starring role in the Hulu television series Chance starring Hugh Laurie. He was also a featured actor in NBA 2K16 directed by Spike Lee. He's been in numerous indie films, industrials, and commercial TV spots. He also has a new video game character role coming out soon! Bobby earned an MFA in Acting from the University of California, Davis. Some of his favorite past performances include portraying Romeo in Romeo and Juliet, Doug in Gruesome Playground Injuries, Howie in Rabbit Hole, Petruchio in The Taming of the Shrew, and The Player in Rosencrantz and Guildenstern are Dead. Bobby is a recipient of the Theatre Bay Area TITAN award for actors and is a proud member of Actors' Equity. He also devises physical theatre pieces with long-time collaborator Iu-Hui Chua. They created and performed Crawl and Ligilo at the Mondavi Center for the Performing Arts. Bobby is the owner and director of the award-winning Made Up Theatre (MUT) in Fremont, California. His theatre specializes in presenting completely improvised plays. He has performed with MUT at improv festivals throughout the country - most recently winning "Best Improv Group" at the Sacramento Comedy Festival and at the ISHS International Humor Conference. His improv education includes training at the world famous Second City and Annoyance theatres in Chicago. Bobby has taught at colleges and theatres thoughout the bay area. 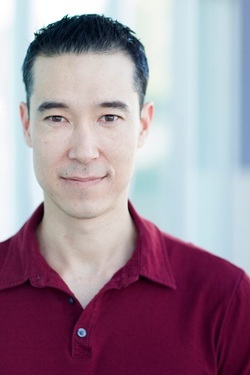 He currently teaches Acting and Improv courses at Berkeley Rep School of Theatre.